In 2009, Memphis reliever Oneli Perez only threw one pitch in the Triple-A National Championship. The batter didn't make contact with the ball, but it gave Durham its first and only national title to date. Eight years after a walk-off wild pitch in the 11th inning, the two teams will reunite for the first time in the winner-take-all Triple-A National Championship Game on Tuesday at PNC Field in Moosic, Pennsylvania. The game, which is scheduled for 7 p.m. ET, will be broadcast live on MiLB.TV. Not too far afield from the way in which Jon Jay, Allen Craig and David Freese led that lineup, the Redbirds bring Cardinals No. 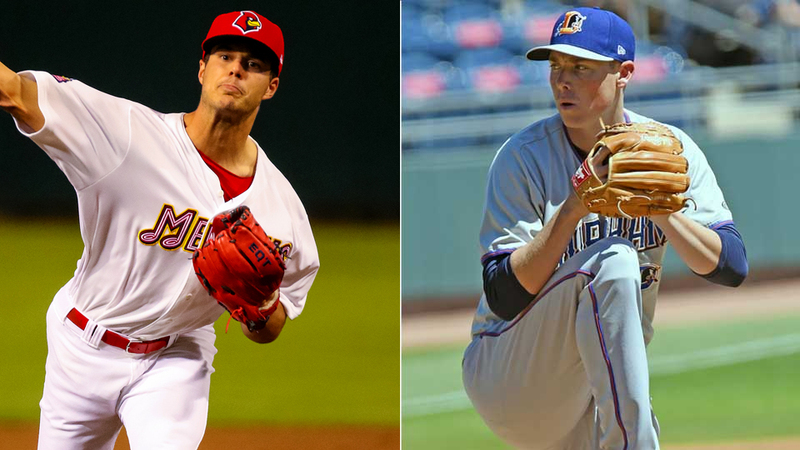 4 prospect Tyler O'Neill and third baseman Patrick Wisdom to avenge the 2009 loss. The pair have delivered timely hitting this postseason, combining for six homers and 20 RBIs in 10 games. Memphis also sports one of the best pitching staffs in the Minors, having led the Pacific Coast League in ERA (3.77), WHIP (1.26) and fewest walks (366), while ranking second with 1,121 strikeouts. Texas League Pitcher of the Year Dakota Hudson is expected to get the ball for the newly crowned PCL champs. In just his first full season, the Cardinals No. 8 prospect went 10-5 with a 3.01 ERA, 96 strikeouts and 49 walks in 152 2/3 innings over 25 starts across Double-A Springfield and Triple-A. The Bulls have a powerful arsenal as well, tapping the franchise's Pitcher of the Year, Ryan Yarbrough for the start. The Rays No. 23 prospect is 2-0 in the playoffs this year after ranking second in the International League during the regular season with 13 victories. Yarbrough represents a Durham rotation that led the circuit in strikeouts (1421), was tied for first in shutouts (18) and WHIP (1.19), and ranked second in ERA (3.37). The Bulls also feature three of the Rays' top-five prospects in right-hander Brent Honeywell (No. 1), shortstop Willy Adames (No. 2) and outfielder/first baseman Jake Bauers (No. 5). Both teams battled the 2016 National Championship contestants in their respective league's Finals, with Durham topping this year's host Scranton/Wilkes-Barre and Memphis edging last year's runner-up, El Paso. Of the 12 years the Pacific Coast League and the International League have faced off in a winner-take-all game, this marks the first rematch.